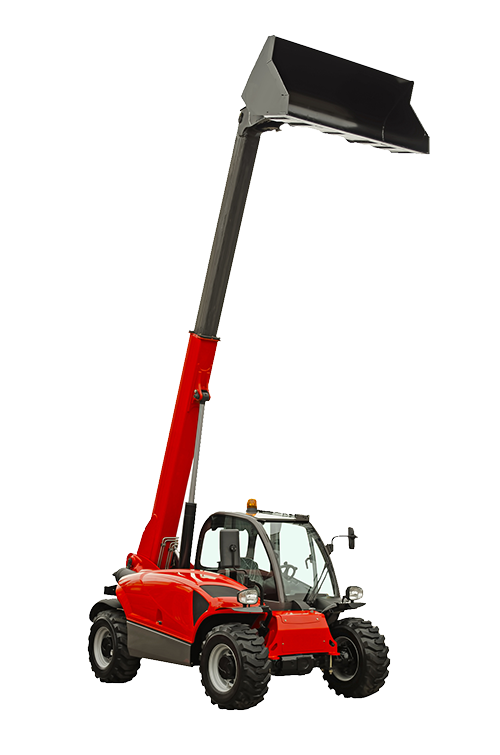 As an exclusive design from the internationally popular material handling manufacturer, JLG, Lull is an innovative telehandler used on outdoor worksites. If you’re the employer of forklift operators and need Lull operator training, it’s important to provide OSHA compliant training. If you use Lull forklift telehandlers at work, read more about the Lull forklift training course we offer at CertifyMe.net to learn how it can benefit your workplace. All of our OSHA compliant training courses are ideal for any operator that needs to know how to operate any Lull forklift. In fact, our certification classes cover basic and advanced safety techniques for any type of powered industrial truck – Lull machines and others! We’ll help your employees get their Lull operator licenses and much more. Check out our OSHA forklift training courses and get started today! What is a Lull Forklift? Lull is a division of JLG that designs and manufacturers telehandler forklifts. The Lull telehandler is used on outdoor worksites, over both even and rough terrain, and is used to transport and lift heavy materials. The Lull forklift features a unique sliding chassis frame that allows workers to reach forward and retract, with an additional seven feet, without having to move the equipment. This feature is exclusive to the Lull/JLG brand. From versatile Lull machines to other types of powered industrial trucks, pallet jacks and lifts, nobody offers the complete, OSHA complaint Lull operator training you’ll receive at CertifyMe.net. Our courses are ideal for any employer than needs to certify Lull forklift operators. If your employees require Lull operator licenses, CertifyMe.net has what you need! Where Are Lull Forklifts Used? Being a type of telehandler, Lull forklifts are used outside on construction sites and for maintenance work. 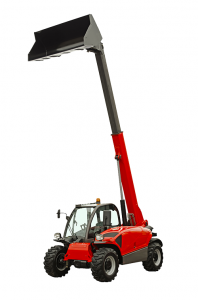 They combine their portable design that can easily be transported, with the body of a forklift truck and the boom arm that can pick up, lift, and otherwise handle materials. They are incredibly convenient and efficient machines that offer the best of both worlds between a forklift and an aerial lift. But before your employees can operate one, they need Lull operator training. We’ll show you how to achieve OSHA compliance – for much more affordable than you think! What is Involved in Lull Forklift Training? If you use telehandlers at work and you’re transiting to the Lull forklift brand, or your current employees drive Lull forklifts, Lull forklift training is the most effective and time and money efficient investment to prevent telehandler-related accidents. According to OSHA, forklift training must cover all types of truck related topics and workplace related topics, for workers to prevent accidents that can lead to serious injuries and fatalities. The course from CertifyMe.net covers these, and includes written instructions, checklists for practical training, and all other handouts and guidelines for administering all tests and evaluations for a Lull operator license. If you need Lull forklift training, contact us today! Lull forklifts are powerful machines, which means that they also have the potential to be dangerous. When workers aren’t properly trained to operate Lull forklifts, they aren’t equipped with the knowledge and skills they need to operate the machinery, avoid hazards, and prevent accidents that can lead to injuries and fatalities. Once workers complete training for the Lull forklift, they will learn everything they need to know to operate the equipment, maneuver around worksites, recognize hazards, and avoid accidents. Workers will also receive the skills they need to be efficient operators who are more valuable to employers. Get your employees up to speed with their Lull forklift training today. We’ll help anyone achieve OSHA compliance for Lull forklifts and other powered industrial trucks. What Work Can Lull Forklift Operators Do? Where Can I Get My Lull Forklift Certification? Luckily, CertifyMe.net makes it easy, convenient, and affordable to receive Lull forklift training for you or your workplace. All you’ll need is a device with an internet connection and about one hour to work through the modules, pass the tests, and complete the evaluation. The Lull operator training and forklift certification can be printed instantly, and all three-year re-certifications are free. We cover all types of forklifts in our Training Kit, including telehandlers, warehouse forklifts, pallet jacks, order pickers, and rough terrain forklifts. For only $299, you can receive all of this information to be 100% OSHA-compliant and certified to operate the Lull forklift, as well as the other types and brands. We also offer a great Train the Trainer course, which provides your company an in-house training expert for Lull forklifts and other types of lifts. Create an account and receive your Lull forklift certification today! Don’t put off your Lull operator license another day. Contact CertifyMe.net today. For any questions about our Lull forklift training, please give us a call at 1-888-699-4800.